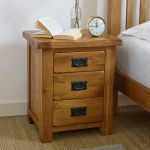 This rustic bedside table is both an essential bedroom item and a beautifully crafted piece of classic oak furniture. 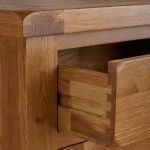 In line with the traditional, home-spun charm of this popular collection, our craftsman use time-honoured techniques to ensure exceptional durability and strength. 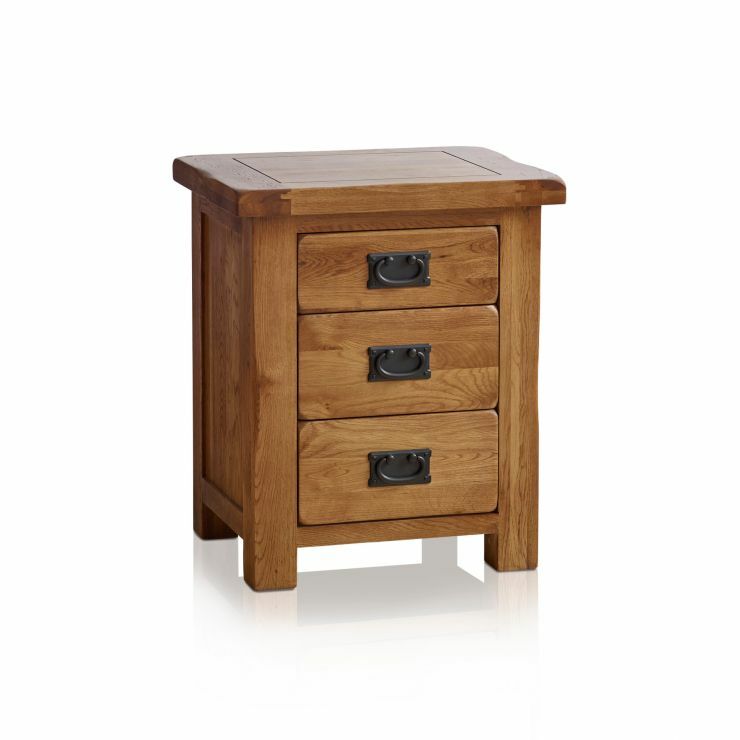 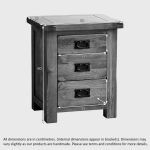 Drawers are made with solid oak backs, bases and runners and are crafted with robust dovetail joints as standard. 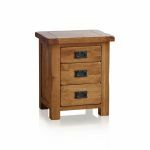 Other quality design features include wooden dowel detailing and brass tinted metal handles. 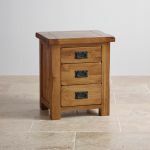 The premium grade oak used in this rustic bedside table is finished with wax; creating the effect of a much loved antique. 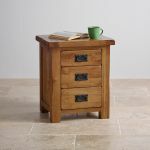 This effect combines with smoothly rounded corners and chamfered edges to provide a truly rustic feel; as much at home in a country home as a city apartment.